Images © Elaine Lee & Michael Wm. Kaluta. 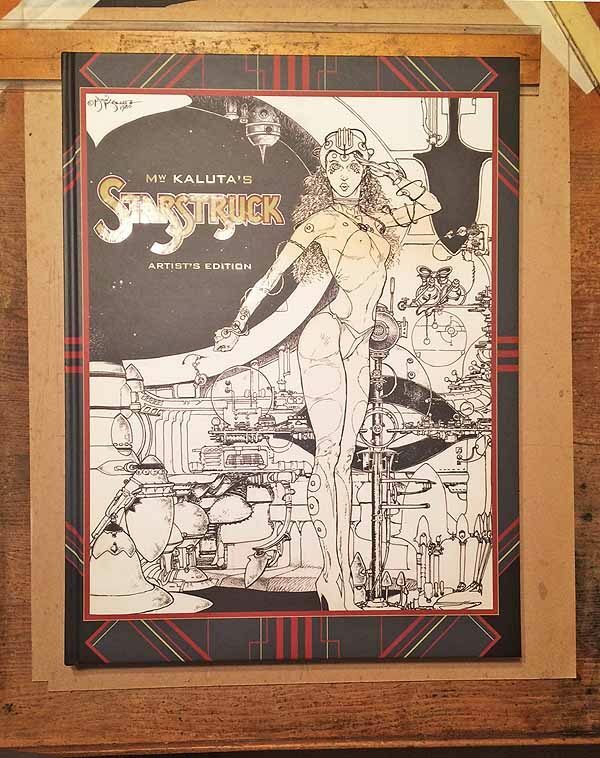 Another gigantic book has arrived showcasing Michael Kaluta’s wonderful art on the early pages of STARSTRUCK, as well as Elaine Lee’s fine writing, and some lettering that I am mostly quite proud of. I knew the early chapters of this were large, I’d forgotten quite how large. The book, seen here on the drawing board where it was lettered, is about 15.5 by 20.5 inches. The art pages of the early chapters measure about 14.5 by 19.5 inches. I recall when I was lettering them, it was sometimes a challenge to get things done at the top of the page without bending the art! Here’s most of my favorite panel and favorite lettering included in the collection. This is as much fun to read as it is to look at, it’s complete as far as it goes, I believe, though STARSTRUCK continues to evolve, so additional pages might have been added later. I’m credited as the only letterer, but it’s not so. The last 30 pages were lettered by John Workman. Some of the pages before that were originally lettered by Ken Bruzenak, and relettered by me. 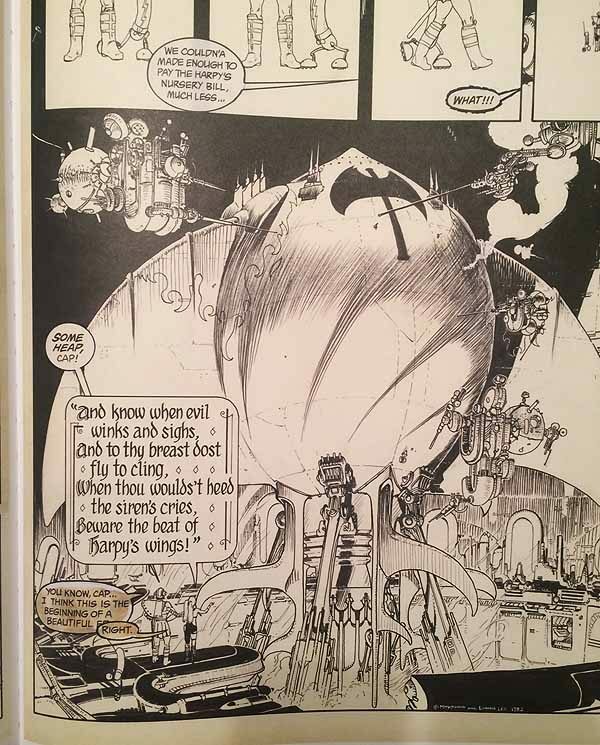 Probably only I would notice the small bits of his work that remains, like some of the balloon borders and sound effects. This is a wonderful thing. No idea when you can get it, or how much it costs, but I highly recommend it. This entry was posted in Incoming, Lettering/Fonts on March 3, 2017 by Todd.